Covenant’s cutting edge outdoor play space was created and designed with these new principles of playground design: instead of filling playgrounds with traditional, man-made equipment, more and more early childhood programs are transforming their outdoor landscapes into magical “playscapes”. These new play environments, inspired by the natural resources around us, include grassy hills, trees, plants, natural pieces that can be moved, paths, sculptures, sand and water, and lots more – all with an intriguing medley of colors, sounds, scents and textures. 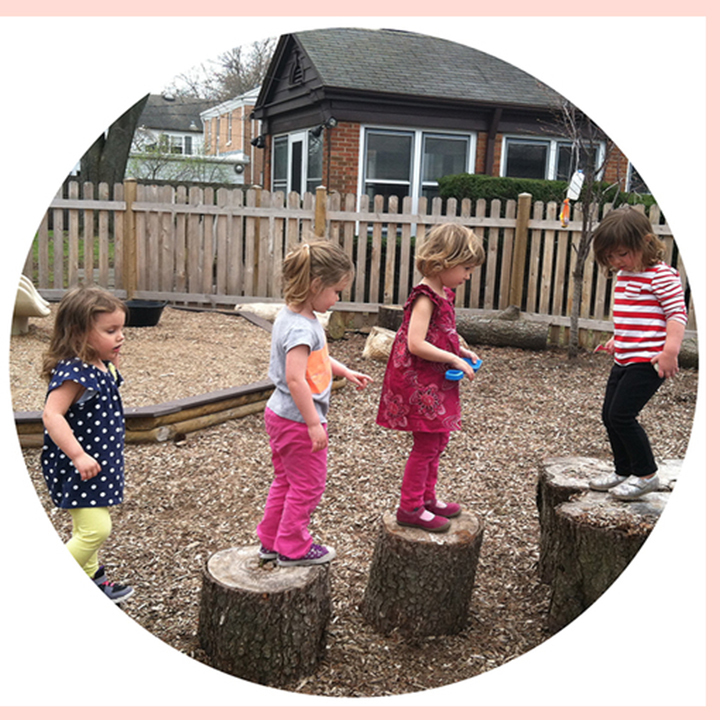 Unlike traditional playgrounds, natural play settings are flexible, providing opportunities to test new skills and continually recreate the space in imaginative ways. 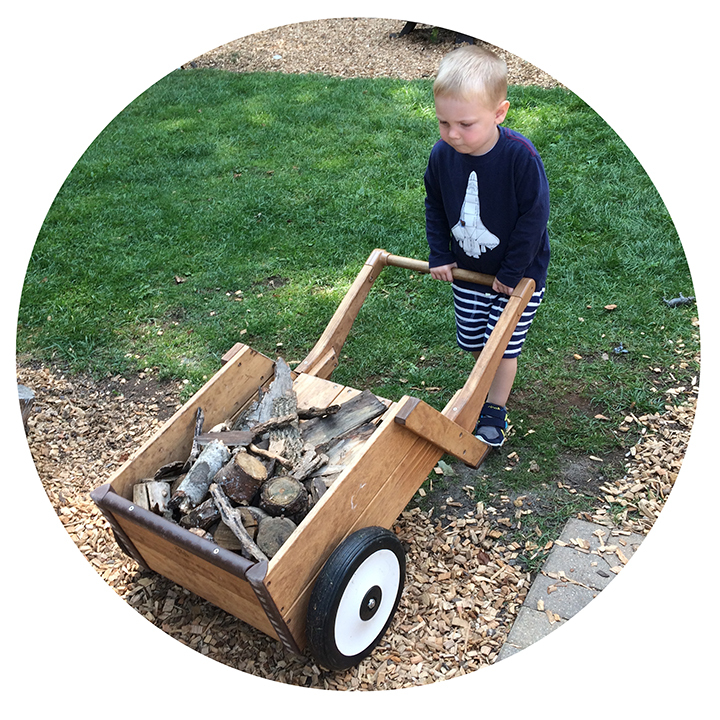 Nature is full of “loose parts” – for moving, digging, climbing, building, hiding, sheltering, and examining. 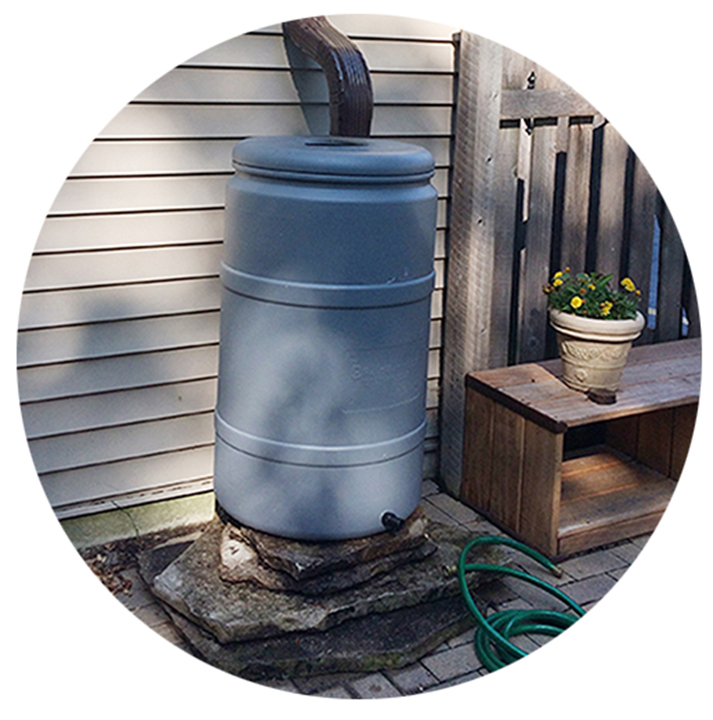 The idea is to provide an open-ended template to allow children to dream, imagine, and create all while developing an appreciation for the outside world. 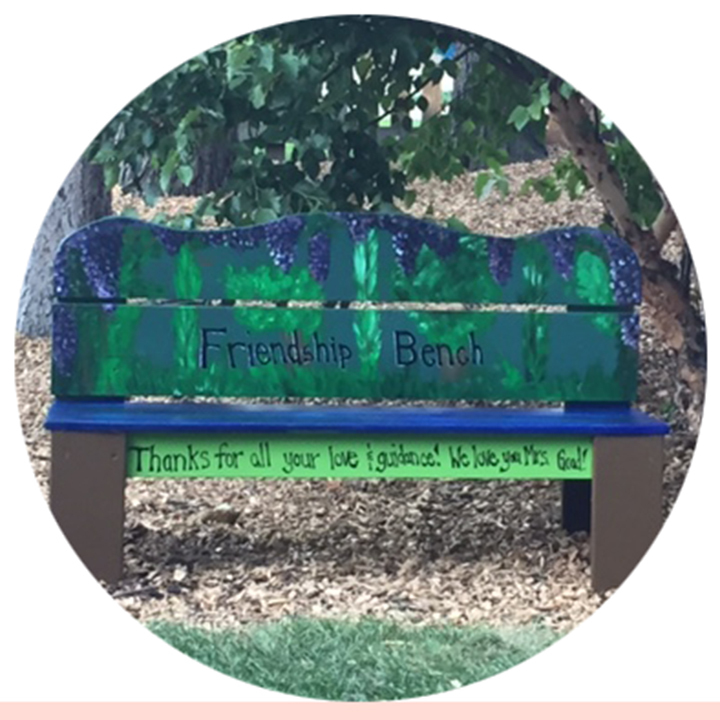 Recently we dedicated a new Friendship Bench on the playscape to longtime Covenant teacher Linda Goad (newly retired). If a child is feeling lonely or left out, they can go sit on the bench so that others will know they are looking for a friend. A teacher or other child will know then to go over and check in with them and invite them to play. Friendship/ Buddy benches help promote empathy in others, help to eliminate loneliness and promote friendship. Covenant Nursery School is truly cutting edge in developing this great space! Children who grow up spending time in nature are more likely to be strong advocates for the environment when they reach adulthood, which is critical for the long-term protection of our natural heritage. (Malone 2003).